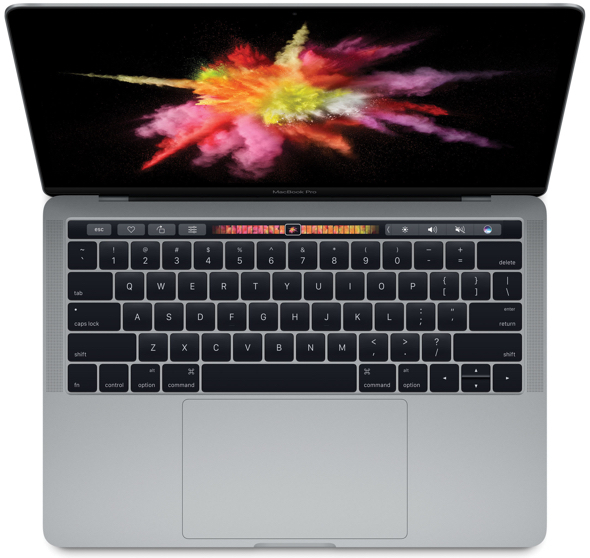 “The new MacBook Pro has ditched the iconic boot chime that’s been a signature part of the Mac startup process over the last 17 years,” Christian Zibreg writes for iDownloadBlog. MacDailyNews Take: Behold, the power of Unix! What’s new is old again! Now someone needs to find a terminal command to add the ports back that everyone is used to as well and has existing gear that they need to connect (without dongles, adapters and blocks with walwarts). And the magsafe adapter. And the ability to upgrade. Then it’ll be back to being a real Pro machine. As a 2012 MacBook Pro owner, it only has 2 USB 3 ports, not 3. And with audio I don’t think you’d use the SD slot. Make sure to get it a new battery (other world computing $99), and take out the optical drive and put in 2 SSD’s in RAID 0, it will make it much faster. The SD slot is useful if, for example, one has one of the brand new, recently released, Presonus StudioLive AR mixers – which use SD cards for recording on the fly. The optical drive is still useful for cutting CDs for promotional work (yes, CDs are still used like that 😉 ), so I can live with one SSD as long as I can upgrade it when I need to. Currently I would stream other samples from / record to an external USB or FW drive for additional capacity. Valid points, here’s another way to go on the new one: thunderbolt 3/USB c dock with 3 USB 3.0 ports, thunderbolt, Ethernet, SD slot, and hdmi and FireWire all in one + charging pass thru. Again other world computing for 149 I believe. I’ll have to check. So you’d still have 3 more thunderbolt ports available after connecting all of your stuff plus a DVD/cd drive. And that set up could be used for many years going forward. Not a a bunch of adapters, just one. We use a similar solution with our Mac pros and thunderbolt 2 docks. Leaving the other 5 ports available for displays to be attached. When Apple discontinued the anti-glare option and removed the optical drive, I bought a factory refurbished 2012 with those features. I’m still using my 2009 2.53 MBP (8/500) with those features, but the ‘newer’ one is put away for when it is needed. I’m glad I had the money at the time. I used Snow Leopard for as long as I could, then went to Mt Lion and then Maverics. Neither perform as well as Snow Leopard did. FWIW, I have a Late 2012 MBP. I removed the DVD drive and put in a 1TB SSD as well as taking ou the HDD and installing a 1TB SSD. WIth the Intel i7 processor I can do Final Cut Pro work without a hitch (I also have a 2TB Lacie Rugged Thunderbolt drive I use with the setup). Get a used 2012 MBP, trick it out and you’re in business. Really? Apple wants booting Macs to be SILENT when they boot?! Why? It’s their calling card! I know they don’t want silence when I toss stuff in the Trash. So when are they going to fix the 10.12.x bug that makes it intermittently silent?! Odd doings going on in the Mac division. How about some renewed sane leadership over there? Somewhere I remember Steve Jobs saying I’d milk the Mac for all it’s worth and get on with the next big thing. My impression is that Apple thinks it has milked the Mac and has moved on and I think they are crazy. Apple developed the iPhone because they did not want to be revenue dependent upon the Macintosh. Now they are dependent upon the iPhone and have made no changes to their business model other than copying what everyone else has already done- Cloud services, Rental Music, etc. 1- Switchers from higher end Android devices- a much more price sensitive market of dubious profit potential. 2- Upgrades from users of old iPhones- a problem Windows had with XP as it was “good enough” for a huge portion of their installed base. 3- Going downmarket with commodity phones- read razor thin profits. The stuff they are doing is mostly without First Mover Advantage- something Apple did constantly under Steve Jobs. They are competing with big profitable companies for much of the areas they are counting on for growth. Apple has learned the hard way with the failure of Apple Music (800+ Million iTunes accounts vs 17 Million Music Renters after an aggressive marketing push) and the fractured Internet of Things market- which involves iCloud, HomeKit and HealthKit. If Apple were to get serious and spend some damn money on the Mac from HW to SW to marketing, they might see significant profit potential they have been leaving on the shelf. The go-go growth days of the iPhone early years are mostly behind them and Apple has yet to show it gets services significantly better than the incumbents. – Apple Music isn’t exactly a failure. It’s eaten some significant market share formerly belonging to the competition. – The Internet of Things market remains a profound disaster that will be a painful disease on the Internet for many years. I can’t exaggerate what a detriment IoT has already become. And today I saw that Toyota wants to make access to the IoT standard in their cars. OMFG. At least Apple has apparently done IoT right. I’ve heard no complaints and no hacking news regarding HomeKit and HealthKit. No doubt there will be, but Apple proved as usual that it’s conscientious, not greedy-stupid (unlike almost all the rest of IoT businesses). Hangzhou Xiongmai said that it will recall millions of cameras sold in the U.S. in response to Friday’s DDoS attack against DNS provider Dyn that kept a number of web-based services such as Twitter, Github and others offline for much of the day. The Chinese manufacturer sells OEM white-label circuit boards and software for cameras, along with DVRs and network video recorders. Many of these types of IoT devices were compromised by the Mirai malware, which exploits default credentials in the equipment and corrals them into botnets used and sold for DDoS attacks. I advise everyone avoid buying IoT devices unless you’ve specifically researched and verified their security. What’s written on the boxes of much of this gear is a LIE regarding security. Buyer beware in the extreme. This is good too. Chime when docked.